Maximize Your CashFlow With Our Medical Billing Experts in CT! The reimbursement process has become a million times more complex in the current healthcare climate. Bring your healthcare enterprise up to speed with PracticeBridge Inc medical billing services. We integrate every component of your revenue cycle into one streamlined medical billing process. 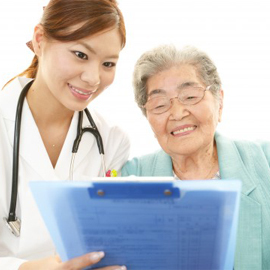 Developing client-friendly medical billing solutions is our passion, craft and objective. Our CMRS certified reimbursement specialists tighten your collections cycle and maintain a positive cash flow. Here is a quick glimpse of what our medical billing experts can do for your healthcare enterprise. Generate, submit and process error free medical claims, super quick! PracticeBridge Inc is one of the most tech-savvy medical billing companies in town! You could either give us access to your EMR, like most of our clients, or, we can integrate our medical billing workflow, with that of your, system's. 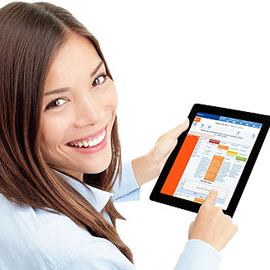 Our medical billers know the ins and outs of all major EMR/EHR platforms and can bill efficiently with them. And if you are having a tough time navigating complicated templates you can call on our number. 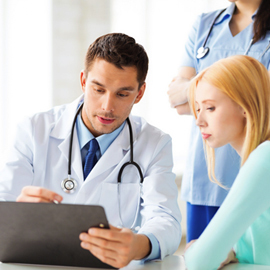 Our EHR experts can custom design your templates to align with your everyday workflow. 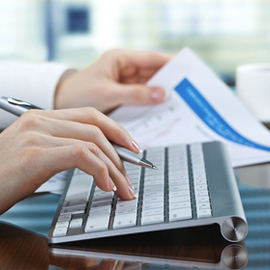 Learn more about our medical billing services and your benefits. Insurance Billing and Reimbursement Solutions! Collecting payments from insurance companies is a herculean task. To get paid in full, in-depth knowledge of payer mechanisms is vital. Are you struggling with a high denial rate and frequent underpayments? It could be because your current biller doesn't understand insurance payment rules and payer contracts. PracticeBridge offers medical billing services that help you uncover the revenue leaks in your revenue cycle and ensure your collection rate is always high. Capture your receivables sooner and bolster your claims collection rate by working with us. We do physician credentialing, payer provider contracting, EDI enrollment, insurance pre-authorization for service/procedures, patient eligibility verification, primary and secondary insurance claims processing, medical coding auditing, reappeal of denied claims and pending AR collections. Our insurance billing experts focus with special care over the top CPT codes and payers, where you get paid the most..
Know how we can help you to impress your CFO by helping your healthcare enterprise cut down on overhead costs without cutting corners. Start chat for more information! We offer multi-specialty charge entry services.Our team offers errorless patient demographic detail entry.We send pending/incorrect information to providers on pre-determined schedules.